The Horseshoe Casino in Hammond, IN saw Irish middleweight star Andy Lee, 18-1 (13), return to an American ring for the first time in over a year following his shocking loss to Brian Vera. The lanky southpaw came into his bout with Anthony Shuler, 20-7-1 (14), as a super middle and stopped the Indianapolis man at 2:05 of the eighth in a scheduled ten rounder. 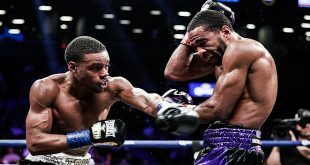 Steel-chinned former IBF light middleweight title challenger Angel "Toro" Hernandez, 30-7 (17), followed up his defeat of prospect James McGirt Jr in January with a sixth round referee stoppage of ex-two weight world title challenger Antwun Echols, 31-12-4 (27), who hasn't won a fight since 2004. Heavyweight Owen Beck, 29-3 (20), two years removed from his unsuccessful bid at the WBA crown, posted an eight round unanimous decision over granite-jawed former NABO cruiserweight beltholder Jermell Barnes, 18-22-2 (4), who has gone 2-18-2 since January, 2004, by scores of 80-72, 79-73 and 77-75. 44 year old ex-WBC heavyweight champion Oliver McCall, 53-9 (37), won the IBA crown with a 97-93 and 96-94 (twice) score over Franklin Lawrence, 12-2-2 (7), after ten rounds at the Orleans Casino in Las Vegas, NV. 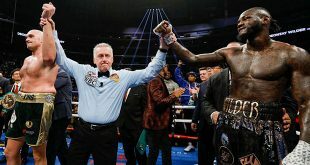 The Performing Arts Center in Rendondo Beach, CA saw two aging heavyweights slug it out as 37 year old former NABO strap holder Lance Whittaker, 34-5-1 (28), dropped chinny 35 year old Englishman Matthew Ellis, 20-9-2 (9), three times enroute to a first round stoppage. 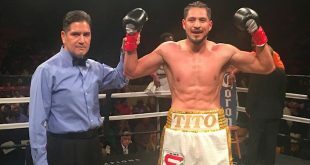 At the UIC Pavilion in Chicago, IL, former welterweight contender David Estrada, 23-6 (14), made a foray into the light middle division to stop Chris Gray, 12-10 (1), in the sixth.